TotallySonny is an Awesome Kid..
OK so I have always known this... He may be a tad geeky and maybe even a little bit freaky (he won't mind me saying that!!) I hope... but as my first born with the man that I can openly acknowledge as being my saviour he will always have a super special part to play in my life. Born looking like a bright red lobster - he certainly got better with age and look at him in this pic... Is he not the boy that you long for your girl to bring home??? He's a maths genius, a trampolining champ and a Dr Who nut who has a more than healthy Pokemon addiction. But he's cooky, and cute and cuddly and loyal (unless you cross his Scorpio darkness that is) and he's the only person who has ever been able to beat me at Tekken. 2009 has been a great year for my little fella, he found blogging and with it gained an amazing new confidence. He's in bed right right now so he doesn't know that this super cool pic of him has been featured on the amazing Planet Awesome Kid site. The pic does have a story that I can share with you though. We usually travel to Thailand in January for our family holiday. Sonny is Dr Who crazy and we offered him in return for his good holiday behaviour and kindness to his little sisters - a suit the same as his hero's... Yes the 10th Dr... David Tennant. Of course he was an angel and the suit was measured, made and fitted... When we returned home his previously shoulder length locks were savagely shorn by Lottie, FunnyGirls god mother and when he walked out of the salon he was transformed into a mini Dr Who! so impressed were we by the transformation that we sent his pic to the kids Dr Who magazine, who featured him as their Dr Who to watch... this was followed by a signed pic from THE David Tennant and a hand written note to say that he would keep Sonny's pic if he didn't mind as it reminded him of when he was younger! PR crap... yeah I know... I get it...but did it make my little man happy? You bet your bum it did! Check him out on Planet Awesome Kid and before you ask, when he grew out of his suit we sold it on ebay... for double what we paid for it to be custom made for him in Thailand! Result!!! 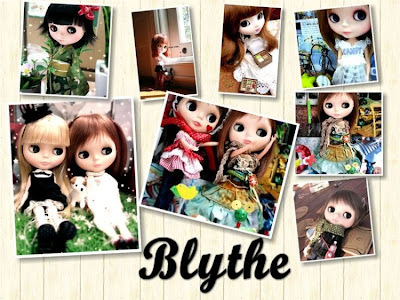 I got my second Blythe! Lets call her a christmas pressie to myself. I had no idea that Yan had bought my other beautiful girl - so now we have the beginnings of a family! For those who are interested..... (and it seems that lots of you are! 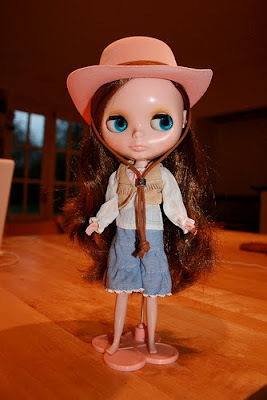 ), she is Blythe Urban Cowgirl! She is an Ichigo Heaven customised by Jaszmade and I love her..
Congratulations ladies - please dm me your addresses. I've always loved Miffy - though not with the same slightly odd passion that fuelled my Hello Kitty phase. I cherished a Miffy book when I was a child - I loved the bright colours and the simplicity. I carried that book everywhere I went for months. It had been taped together so many times when I was finally convinced to lay it to rest. 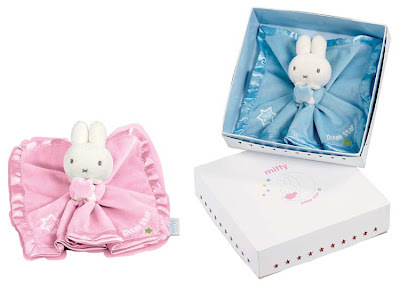 So you can imagine how excited I was when I saw these fab Miffy comforters and I was even more excited when they offered me a couple to giveaway. I'm going to run the giveaway for tonight only so that I can post in time for Christmas. One of these comforters would make a brilliant gift for the baby in your life. If you miss out - don't worry you can pop by the Miffy store and pick one up for £9.99. To enter, please leave a comment here on the post. For an additional entry please RT on Twitter or post to your Facebook page. If you do post the link on your Facebook, please do let me know by leaving a comment, here is the link.. I have two to giveaway so good luck! Do you want to win a FizPouch part 2!!!! For those of you that missed out last time - her is part 2 of the giveaway as promised. UK delivery will still be in time for Christmas but outside UK can't make any promises. Now if you entered last time and you are already a follower of my blog please tweet the following statement. And also leave a comment on the post. If you have a blog - leave me the address so that I can pop over for a read. If you're not following my blog..... where have you been? Get to it - and leave a comment on the post. The two winners will be picked at random from all of the comments left at 10pm GMT tomorrow. 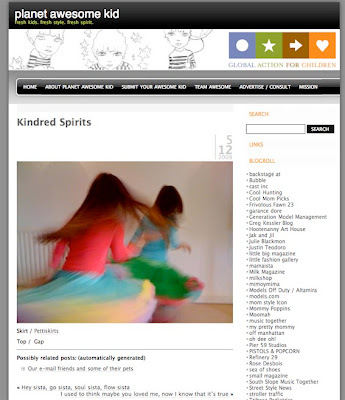 ModelGirl and FunnyGirl's appearance on Planet Awesome Kid has made it to a cool Spanish webmag called Caos, tragically it's not in English - but you can make use of the Google translator. They really are rocking their Sophie4Sophie dresses. I have totally fallen in love with Blythe - the little doll that was produced for only one year - incidentally the year I was born and also the year the Stokke® Tripp Trapp® came to market. 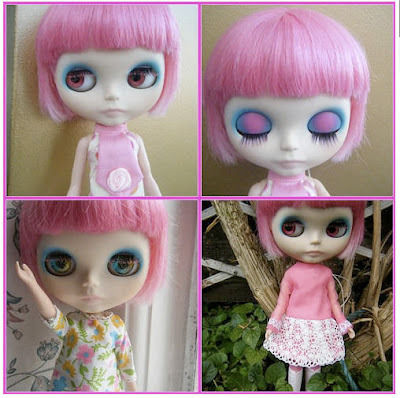 She completely flopped due to her big head and kooky eyes and Kenner withdrew her. That wasn't the end for Blythe though - she has now become a worldwide fashion icon, with designers like Westwood and Dior creating unique outfits especially for her. The girls have made it to Planet Awesome Kid again! This time wearing their amazing Pettiskirts from Just Dresses. They are simply the best item of clothing that I have every bought them - just putting the skirt on makes them want to twirl and twirl. Something we could all do with in our lives if you ask me! 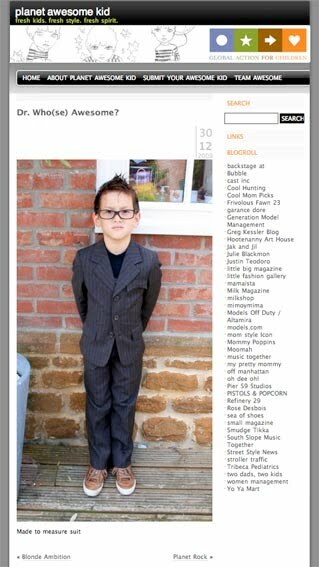 If you have any fab pics of your little ones looking super cool - just send them in. You can get all of the site info by clicking on the link above. Do you want to win a Fizpouch? Of course you do... I had some really great feedback since my review on Saturday - so I asked if they would like to run a competition so that one of you lovely people can get as super organised as me. They said yes so to be in with a chance of winning all you have to do is follow this blog and leave a comment below. The two winners will be picked at random from all of the comments left at 10pm GMT tonight. It has been (too) many years since I last wrote to you but this year I live in hope that you will make it to my letter. I understand that the alphabet has always been against me what with my first name starting with S and my surname with T but for some reason - this year feels kind of different. Before I indulge myself I would like you to consider my fellow bloggers and there are a few of them so - sorry but stick with it. 1. Just today @tara_cain begged to be let loose with the xray equipment in the Playmobil Emergency Vet room, sadly for her she was not willing to take on board the X Ray training that such advanced procedures require. I on the other hand do in fact have many years of training and am willing to pass my techniques on to her as she seems like a game kind of gal. 4. @soph4soph needs a new camera so that she can share all of her amazing new creations with us in high res. If it has a video function all the better cause little Soph and ModelGirl have gotten into the habit of video messaging each other before bed. 5. Can you please send round your sewing Elves for a couple of extra shifts post Xmas rush? I don't mind taking on overtime rates but think that a team of sewing Elves would be a welcome gift for @byyanto in the run up to London Fashion Week. 6. Some of my fellow blog buddies are just plain grumpy sods at times as you know, but a slice of cheer would go down so well with @LivingwithKids, @porridgebrain, @that_Kat, @dotterel @swhittle and @cafebebe. Your wishes would fuel their Xmas spirit no end (well I hope). 7. TotallySonny would love to be elevated to super blogger status but failing that meeting David Tennant and the new Dr should match up to him meeting James Murray (Steve from Primeval) and Sarah Parish (the Empress Racknoss, Dr Who) and them telling him that if they ever had a boy they would call him Sonny. Ok so that is a pretty big ask... but see what you can do. 9. FunnyGirl simply asks for copious amounts of sweets, cake and chocolate for the next twelve months...a simple request. 10. And me.... well a couple of extra hours in the day wouldn't go a miss. I would be fine if I didn't have all of these extra personal projects - but well I have. PS (please Santa) don't forget that I like Chanel handbags. pretty pretty please Santa, @porridgebrain would really like a new camera - so if you could fix that for her would be dandy. I have to say that I have been getting some pretty dreadful press releases through of late so I was pretty excited to see this one from Fizpouch land in my inbox. You see I have a bit of a big handbag habit and that causes me no end of problems when I am trying to find anything in there. If you call me on my mobile you'll be used to me not picking up because by the time I have fished it out of the depths it has stopped ringing and I can never, ever find a pen or my keys - or well anything at all actually. It has been said that I should perhaps down size but, well, I don't want to - and now it looks like I don't have to. Enter Fizpouch! A handy little organiser thats just begging to be packed full of the stuff that usually evades you. Five outer pockets that nicely house my iphone, Blackberry, notebook and business cards and a couple of pen pockets for speedy access. Open it up and there are two roomy compartments and a zip pocket. The idea is so simple that I'm surprised it hasn't been done before and after using it for a couple of weeks I have to admit that I am totally hooked. It also makes it really easy to switch between handbags cause all of the stuff that you 'need' is all in one place. They come in some funky bright designs that make them really easy to find and fish out when you need it. The only possible downside is in my opinion is that I would like the option of a bigger size so that I could keep my sunglasses in there too. I don't hand out many of these but I am giving Fizpouch a MummyTips Loves award! Thanks to Catapult PR for finally organising my life! I came across this blog the other day - so simple but oh so cool. 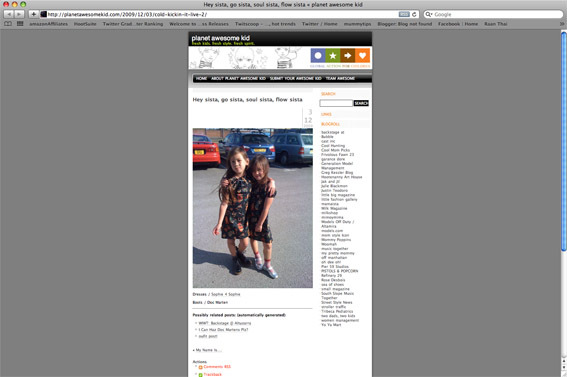 So I submitted a pic of the girlies and look, here they are featured on the home page today rocking their Sophie4Sophie dresses! I didn't let you all know last week that my fabulous hubby has been accepted to show at February's ON/OFF. This is a huge, big, massive deal for him as On/Off are known for their pioneering approach and support. It will be so exciting to be a part of London Fashion Week - we just need to find a label for ModelGirl to walk for and then the whole experience will be complete! And today, he has a brilliant piece of coverage in the fashion & style bible Dazed. Today she ran in from school and threw down the letter onto my keyboard. "Look mum, look! I got the letter." The letter that she so proudly waved before me was an invitation to join the elite Leicestershire school children's dance project. 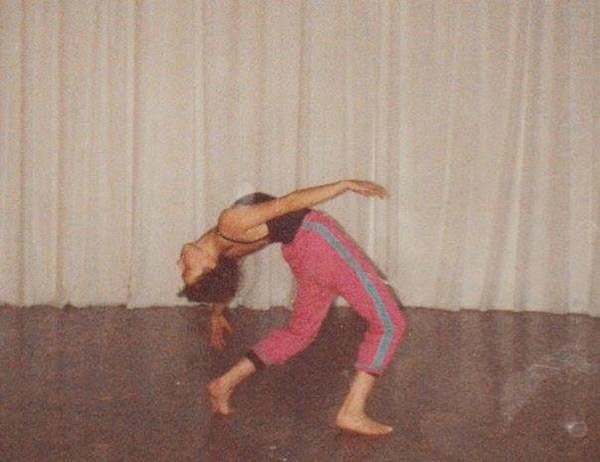 The same one that had allowed my own dance training to flourish when I was a child. It is times like these when being a mum if the best feeling in the whole wide world. Well done honey. I am so proud of you. In all honesty I have been on a real roller coaster since posting 'My story' a couple of weeks ago. I have been approached by some magazines and a literary agent but the whole thing has sidelined me some what. After all - I had, have drawn a line under the whole thing. That was me in 1994 - a long, long time ago. It has been suggested that I should write a book about how I over came my problems and it has been said by at least 50 people (thank you) that my story has been an inspiration to them. But I am still left not knowing where I should take the next chapter. For that post was just the beginning and having built the strength to write it I kind of feel that right here is the best place for it all to unravel. If I had ever been forced to say something that I didn't quite like about the Stokke® Xplory® then it would have been that there was no option if you had a second child to think about too.. But I was lucky and instead of having to worry about my toddler - working for Stokke® allowed me to have a second Xplory®. Did you note then that I was talking in the past tense? On an Xplory® that can carry two…..
It’s a well-known fact in Stokke® circles that toddlers don’t like to give up their Xplory® view of life. Seated high above the other strollers they love to experience life on the move whilst casually chatting away to Mum or Dad. But, sometimes a new brother or sister comes along and toddler has to give up the prized position atop their beloved Xplory®. Tears – yes. Tantrums – probably. But now we have the answer…….. The Stokke® Xplory® Rider. Funky, cool and simply the latest way to impress fellow Xplory® babes. The Rider board simply attaches to the Xplory® chassis to allow both children to ride in style. When not in use, it’s quickly and easily folded away to await its next adventure. Xplory® Rider is intended for use with only one child at a time and is suitable from approx two years of age. Maximum weight limit is 20kg. Hurray!! 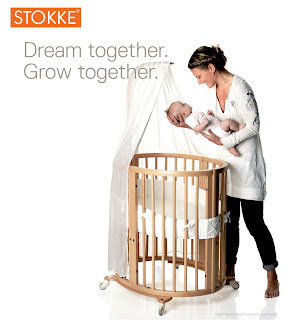 Coming to a Stokke® retailer near you in January!!! Soo exciting! You may have noticed that I have been a bit quiet since I dropped my big post natal depression bomb shell on you a couple of weeks ago. The problem is that I have been struggling to know what to say next. My story had an amazing response. I've had emails from other women who have found themselves in that same dark place, from their friends and family asking for advice on how to help those dear to them and from journalists wanting to take my words to print. It has been an unexpected and humbling time. I've never seen my story as inspirational and until I laid it down here with the comment box open I don't think I've ever given anyone the chance to tell me how it has effected them. After all, what do you say to someone who has just told you that they jumped off the top of a building? It's a conversation stopper let me tell you. Hitting the publish button was a real leap of faith for me. Was I doing the right thing? Was it going to impact on my business? Was I going to regret it later? Who could say? But I was right to speak out and by doing so I feel like I am finally standing up to be counted - and that feels pretty good. Thank you to everyone who took the time to leave their thoughts and tweets. I'm still in total shock that every word left was positive. The post had over 6,000 views in just three days which proves that it is a subject that deserves a wider audience. Things have been a bit serious over here at MummyTips of late - so I thought that we are due a little light relief. With Christmas only a few short weeks away I thought that a colouring competition could be just what we need. The prizes and the template are courtesy of my good friends at Stokke®. Simply click on the Tripp Trapp® colouring sheet to enlarge it, print it and let your little ones inner creativity loose. First prize is a Stokke® Tripp Trapp® and a Stokke® Table Top. Open to all budding artists aged 1 to 5. Please follow the blog (if you aren't already) and pop me an email so that I can give you details of where to send your little ones artwork. 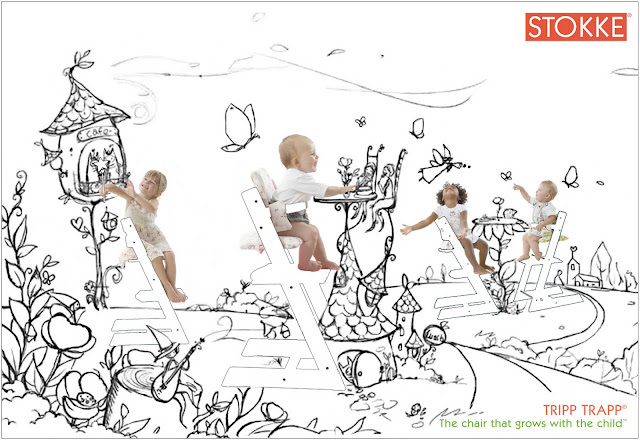 We will feature all of the entries over of the Stokke® Lovers Facebook page. Closing date 15/12/09 - winners will get prizes in time for Christmas. One of my clients is an amazing lady called Robynne. She has a family of children that she has saved from foster care. She has loved them and opened her heart to them when the authorities would have been happy to let them languish without anyone to love them. Her family now lives here in the UK and they are trying to adopt another child. This is proving very difficult because on nonsensical legislation. Please read over the email (below) that she sent to me. Lets get behind her and her to offer a deserving child the family life that he / she is being deprived of. We've been turned down to adopt a mixed race sibling group who has been looking for a forever family for about 2 years. Simply because we are white. We've even been told that it is better for a child to NEVER have a forever family of their own than to have one a different colour. We could not disagree more. What's even more frustrating, is that there is a double standard in place...fully black couples, for example, are allowed to adopt half black and half white children, but white couples can't do the same. As a result, if you are a child of colour in the UK, your chances of being split from your biological brothers and sisters or never being adopted is extremely high. We want this to change. Race should be a factor in deciding adoptive placements, but only ONE of the many that you must consider. Every family is unique and every child is unique. We just believe that, in a system which says that old, young, convicted criminals, singles, couples, gay, straight, married or not, rich or poor, etc. can be considered for a child, race should not automatically block loving families from adopting children of mixed races. Ian and I are going to be on BBC1's The Big Questions this Sunday at 10am discussing the issue, if you want to hear more about the issue and problems it creates in the UK. Please get behind them by leaving a comment here, re tweeting this information and signing the petition. Welcome to my first hosting of the BMB blogging Carnival. As I'm the boss this week I am going with a birth / birthday / rebirth theme as it's my birthday this week and well it seemed like a good thing to do. It is quite a lot of work getting though all of the posts that I have been sent but I have found some amazing new blogs to add to my reader. I hope that you will enjoy them as much as I have. We are all programmed to think that the transition from person to mother is a smooth one. Your due date arrives and a beautiful baby is delivered by a Stalk wrapped in the finest cashmere blankets but in reality we know that is not the case. As mothers we deal with our own birth stories and move on, forgetting our own horror stories as quickly as we forget those around us. Kelly from A Place of my Own is sharing an amazing journey with us here. Many of her Twitter friends (me included felt as if we were part of her experience) wanting to help and advise. Her story is sweet, lovely, from the heart and proof that you should do what you feel is right for you and not what you are being told. Kelly and Piran – you guys rock. And as for Claire at OMG pregnant / Then There Were Three, well she had the textbook birth that we can only dream of. Of course without the text advice of her Twitsters it could have been a totally different story! Laura from AWNTYM shares her unexpected birth tale with a very sweet though slightly unnerving outcome! Josie at Sleep is for the weak time travels through her birth story. 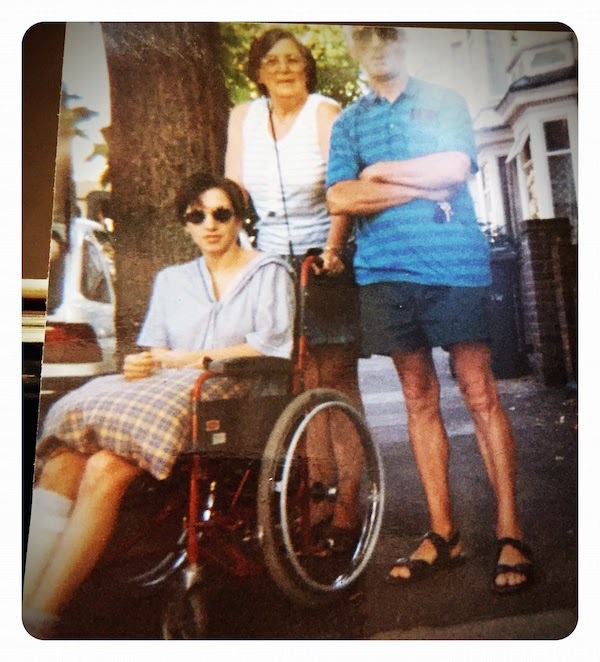 Over at the Angels & Urchins blog they plea for the smug side of motherhood to let rip. I know I'm good but how great are you? Tara at Sticky Fingers tells an all familiar of tale of evil party bags packed with malicious swag! A true pet hate of my own, though i do seretly like getting to scoff all of the BAD sweets that I remove! Karin at CafeBebe, has a birth experience not unlike one of my own (hey I’ve had 4!) .Four down mum to go shares a young fellas birthday story. Pippa at A Mother's Ramblings tells how birthdays in her life are a huge family affair. HomeBaked explains her obsession with Christmas. Liz at Living with Kids has the birthday grumps that can only be truly appreciated by a fellow Scorpio! With you all the way Liz! Elaine at Little Sheep learning has some wise words and practical advice on how to prepare siblings for the arrival of a new baby. 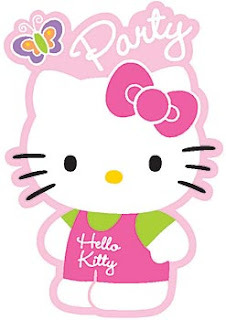 Everyone who knows me understands that I have a rather unnatural obsession with Hello Kitty, i am a nice person (i hope) and I don't kill people so I just go with it. Then I saw this from Alpha Mummy. OMG if I could have any more children (which i can't) I would be on the next plane to Taiwan (via Hello kitty World in Tokyo of course). And my final mention has to go out to the best little blogger on the block. My little fella TotallySonny. It's his birthday next week and he so wanted to submit to the carnival but he said can't I ask him to blog about birthdays after he has had his? Urm... NO! I said but please stop by his blog anyway! As a mum with three very active children we have gone through so many drinks bottles over the years. They always leak, stain, go smelly or get left behind at one activity or another. 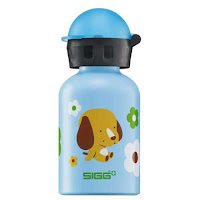 Then we discovered the Sigg. Not only do they look fabulous with loads of different designs to suit all tastes but they actually don't leak. A pretty basic requirement when it comes to a drinks bottle I would say but I am always amazed that the manufacturers don't see things the same way. Every bottle has a high tec interior that is resistant to fruit juice acids, energy drinks, alcohol and just about any drink. They are made in an eco friendly environment and are fully recyclable - not that you would need to recycle yours as they know of bottles that are still in full active use twenty years after they were purchased! 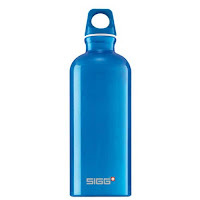 Sigg also see the importance of combining fashion and function and their bottles come in over 100 unique designs. We tested the small kids bottle with a flip lid and the larger adult bottle with a screw cap. Both were brilliant. They are more expensive than regular plastic bottles but I really do think that they are worth the investment. They have a really good video on how their bottles are made here.